Bioretention systems have been implemented as stormwater best management practices (BMPs) worldwide to treat non-point sources pollution. Due to insufficient research, the design guidelines for bioretention systems in tropical countries are modeled after those of temperate countries. However, climatic factors and stormwater runoff characteristics are the two key factors affecting the capacity of bioretention system. This paper reviews and compares the stormwater runoff characteristics, bioretention components, pollutant removal requirements, and applications of bioretention systems in temperate and tropical countries. Suggestions are given for bioretention components in the tropics, including elimination of mulch layer and submerged zone. 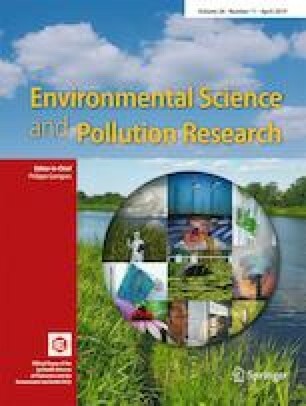 More research is required to identify suitable additives for filter media, study tropical shrubs application while avoiding using grass and sedges, explore function of soil faunas, and adopt final discharged pollutants concentration (mg/L) on top of percentage removal (%) in bioretention design guidelines. This work was supported by the Division of Research & Innovation, Universiti Sains Malaysia under the grant title of “Influence of Enhanced Bioretention Media and Tropical Shrub on Nutrient Removal for Urban Runoff in Mixed Development Area: An On-Site Study” with grant number as: 203/PKT/6720004.